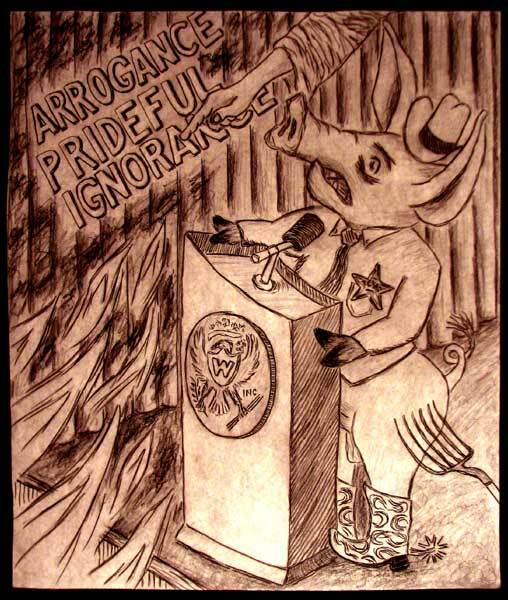 Worst Pig in Texas short story illustration. Charcoal drawing by author. Once upon a time there was a very bad pig that lived in Texas. The pig went to church every Sunday and told everybody that the world was coming to an end. At first they didn’t listen to him, but then one day the church burned down. Then the people did everything he said. He quickly put them to work helping him burn down more churches.